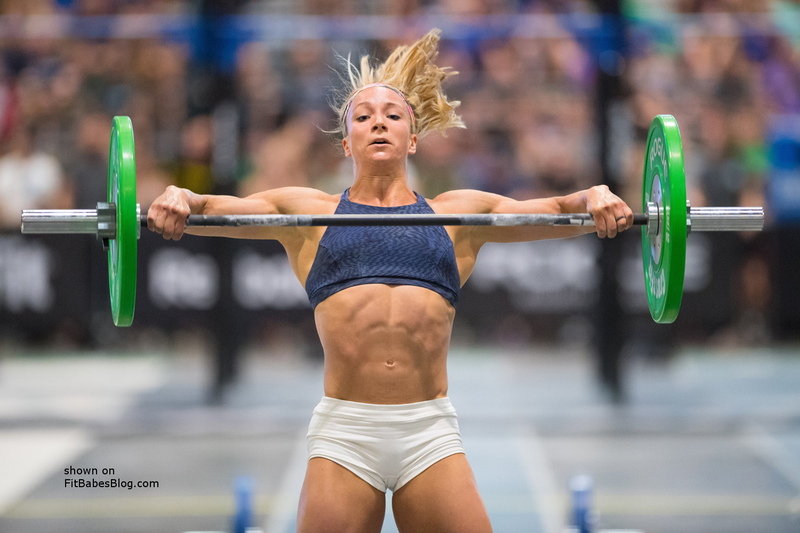 Amanada Barnhart has been in Crossfit for a few years now. I see competitive results for her going back to 2014. Her profiles list her as 5’7″ tall and 151 lbs. She is currently 26 years old. She works as a physical therapist. Amanda has been athletic all her life. As a child, she practiced gymnastics. In high school, she swam, played volleyball, and ran track. When she went to college, she swam for a D1 school. I don’t know many guys who can deadlift 400 lbs, much less women. Amanda is definitely strong. At such a young age, she had incredible potential if she can minimize her injuries. Unfortunately, with Crossfit, it really is “mimimize”. It’s a sport notorious for injuries. It’s less a question of if you’re going to get injured, and more about when. I guess you can say that for any top-level sport and athlete. 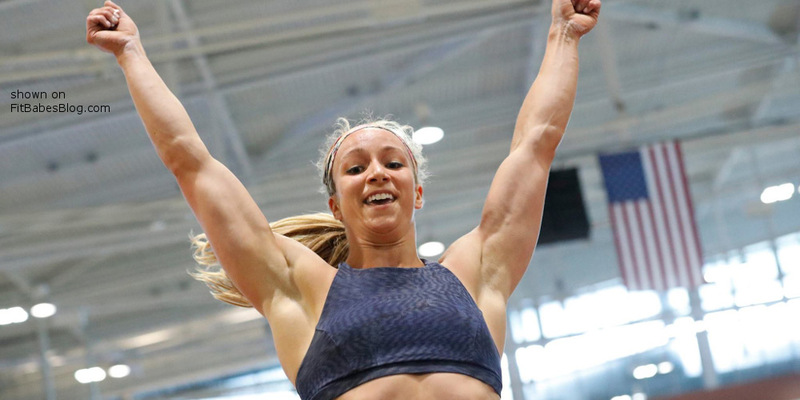 Lately I’ve heard that Amanda has been training with some of the sport’s greatest, including Brooke Wells, Camille Leblanc-Bazinet, Katrin Davidsdottir, and Ehea Schuerch. I would think that will pay positive dividends in her performance. Amanda was married a couple of years ago to Wesley Barnhart. I think they both currently live in the Ohio area. Heidi Powell recently placed 5th in the bikini division of the 2018 IFBB Dennis James Pro. I think it’s about time we do an in-depth profile of her here on FBB! 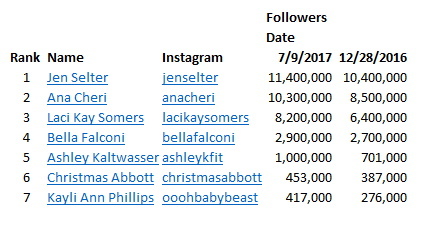 The fact that she currently has 439k followers on her Instagram feed speaks to how popular she has become. I would definitely classify her as a “celebrity trainer”, not in the sense that she trains celebrities, more like she is a trainer who is a celebrity. She was born in Phoenix Arizona in 1980. She and her husband Chris Powell began hosting the television show Extreme Weight Loss in 2011. That was really her first launch into fame. In 2015, she published the book Extreme Transformation: Lifelong Weight Loss in 21 Days. It has sold thousands of copies, and gets 4-star reviews on Amazon. She has her own clothing and accessory line that she likes to associate with a positive body image. She uses the tagline “Perfectly Imperfect”. Heidi has four kids, and her marriage to Chris is her second. 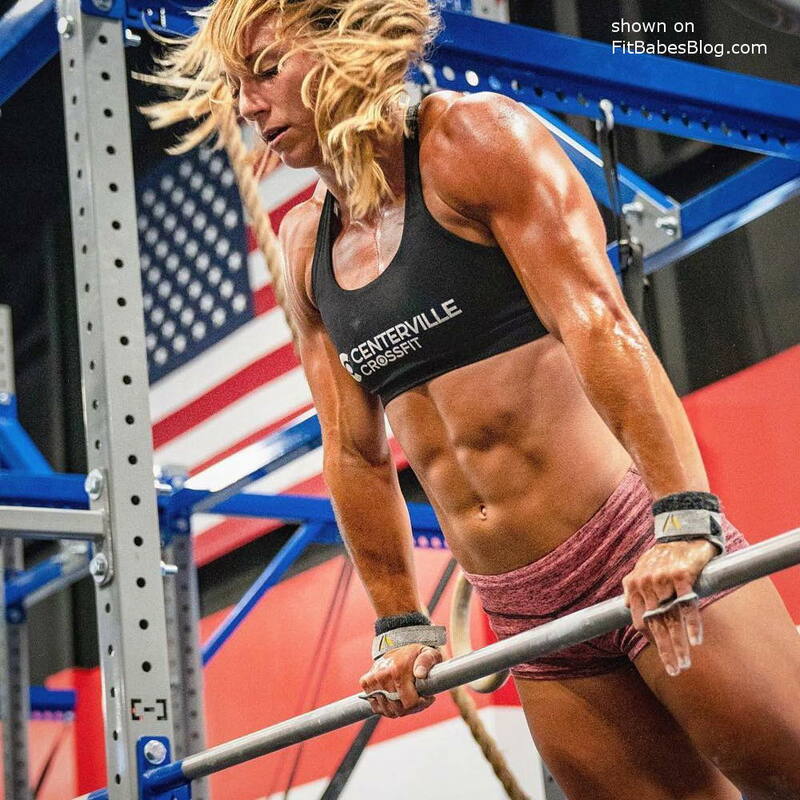 She is a certified personal trainer, with both ACE and CrossFit certifications. As of 2018, she is 36 years old. It appears as though Heidi began competing in 2015. She may have started before that, but that’s what shows up when I research her history. She has placed as high as 1st and as low as 17th. Frida Paulsen Stern has been tearing up the competitive stage for years. She is a gorgeous blonde bikini competitor who is quite popular. It’s a pleasure to do a detailed profile of her here on FBB! Yes, this is an incredible 13 contests in less than 3 years. That’s an average of one competition every few months! Not shown in her contest history above is the fact that Frida’s first bikini competition was back in 2014. Not unlike many of the fit babes we run across on this website, Frida was always very active and athletic. At the time of her first contest, she was still playing competitive soccer. This seemed to hinder her results on the stage. So she made the commitment to give bikini and figure competitions 100% of her attention. She set a goal of winning her pro card within a 2-year time period. 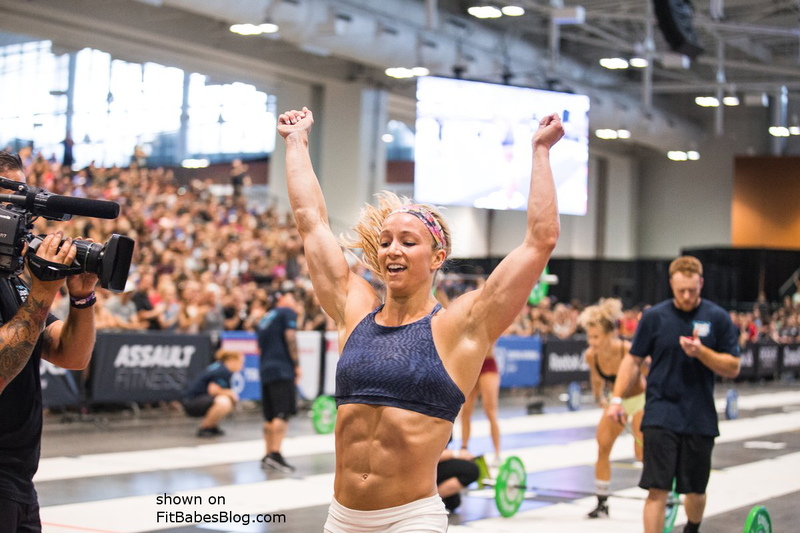 She was able to achieve that pro card milestone in 2016, and has never looked back. I’m sure she still thinks of soccer fondly, but still spends all her time on that intense bikini competition schedule. She then set a goal of qualifying for the 2017 Olympia. It took her 5 additional shows, but she was finally able to accomplish that. Now she has set a goal of placing in the top 5 in the Olympia. I wouldn’t count her out. She’s obviously very goal-driven, and so far literally nothing has been able to stand in her way. It will be interesting to see how she finishes in 2018. I have reached out to Frida asking for an interview. Hopefully I’ll be able to secure something, and if so I’ll post it here for all of you to read. Marital statu: unknown. Given the fact that she competes constantly, I can’t imagine she has time to date, much less be married! I published an article about Marina Brass back in 2009. A few days ago, I updated with some recent info about her. At that time, I asked Marina for an interview, and she happily responded yes. Tell us a little about yourself. Where did you grow up? Have you always been athletic? What got you started in weightlifting? I’m from Spain . I grew up in Spain, but at the age of 22 I began to travel the world by myself. From the time I was a little girl, I always participated in different sports, but I did not begin to train in the gym until I was 21 years old. I began lifting weights because I was working out in a gym like hip-hop teacher because I was dancer. But then one day, a bodybuilders asked me … do you compete in Fitness? And my face was like whatttt? I had never lifted weights in my life. I had never trained in gym that way. He was surprised about my shape. So then he began to train me and I began following a diet and with only 6 months of training, I went to my first competition and I won!!! First place !!! Wow !! So then I began to compete like this. My body changed so fast when I changed my diet because before I began to train, my diet was pizzas, burgers and chocolate!!! I had never had healthy!!! Crazy!!! So from 21 years old on, I changed the way I ate and now 10 years later, I’m still eating healthy. When I was 22 years old I went to LA , CA, and when I arrived I had only 1 small tattoo. But then …. since I was living in Los Angeles, I began to tattoo my body. All of my tattoos are for a reason. I have a tattoo on my neck, LOS ANGELES, because LA changed my life and the way I live my life. And then also I traveled to Thailand and I tattooed there, and China … I used to travel alone, so I tattooed in different places all around the world . How many days a week do you train? What kind of exercises do you do? Cardio program? I use to train 5 to 6 days a week. Now I train with little weight, but I always train my booty with weights because I love this. I try do cardio in the morning before I take my son to the school. What’s your diet like? Are you strict or easy? Macros and calories? Favorite meals or cheat meals? If I’m honest, I always try to eat correctly, but I do not do crazy hard dieting like when I was in competition. My favorite meal ….I think carrot cake, or whatever cake, I love all cakes hahaha! My cappuccino protein, mmmm I love it. Do you have any goals you want to tell us about? Where do you get your drive? What motivates you? My motivation in my life is my son. But for training, I do not need motivation from anything because I love to train, it is my moment in each day. Pretty woman. Hahaha. I know is old movie but I cry every time I watch this. It doesn’t matter how many times I watch it, I always cry. And in the end, I am always so excited and singing…. pretty woman lalala ….hahaha. Music: I love LIL WAYNE! Most and least favorite bodyparts to train? I’m a single mum, divorced and I have boyfriend. I have few cats, I love animals – I think they are better that the persons. How are your injuries lately? I never had injuries in my life. Ok my back have millions nudes hahaha but nothing important. What’s the hardest part about fitness modeling? The jealous people around, but I always run away from negative people. What is the most enjoyable part about fitness modeling? I love my job , I love this industry. 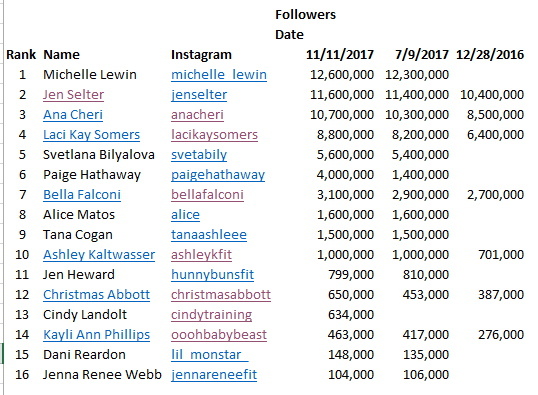 Are there other female fitness models or competitors that you admire? I admire every girl that goes on the stage , I admire and I respect them. I respect a lot my boyfriend so I do not have eyes for other men. Of all the places you have traveled, where was your favorite? I think Republica Dominic, I feel so relaxed there. I love hearing my favorite music, Romeo Santos , and tanning and relaxing. Do you typically diet for a photo shoot, or tend to stay fairly lean all the time? Yes !! Always when I have photoshoots, I do a harder diet for 1 week. And also this day I take off the water in my body. Marina’s native language is not English, so if there were any inaccuracies or grammatical errors I should certainly take the blame for those, rather than her. It definitely sounds like Marina loves her job. And apparently she does tons of traveling, all over the globe, as a part of being a fitness model. She promises us that she is going to get in the best shape she has been in for five years, so I’m sure all of us will enjoy seeing what she looks like then. If she looks this great now, wait until she tries even harder!